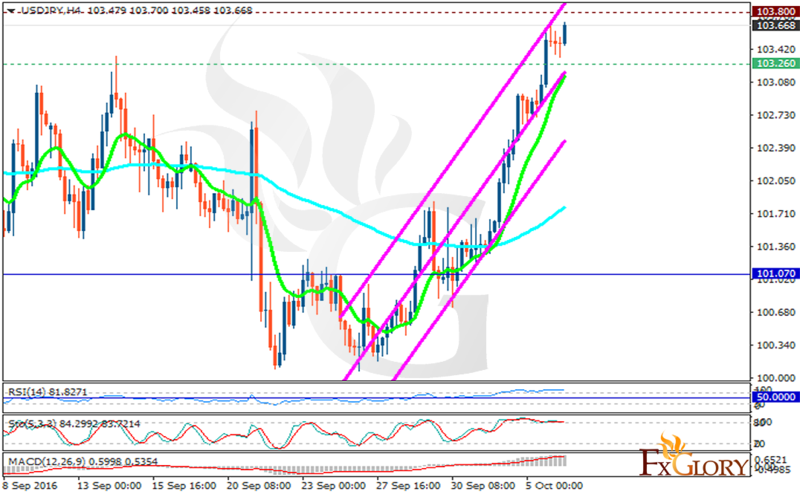 USDJPY is growing sharply along the ascendant channel. The support rests at 103.260 with resistance at 103.800 which both lines are above the weekly pivot point at 101.070. The EMA of 10 is moving with bullish bias and it is located above the EMA of 100. The RSI is moving in overbought area, the Stochastic is moving in its high ranges and the MACD indicator is in positive territory heading up. The 103.8 area seems such a strong resistance zone, so pullbacks can happen at any time when the breakout occurs.